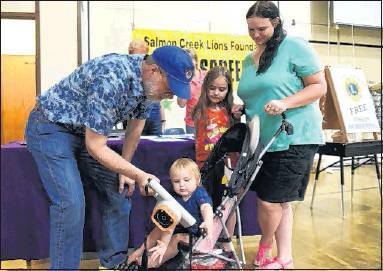 The Salmon Creek Lions Club is getting back to its roots. 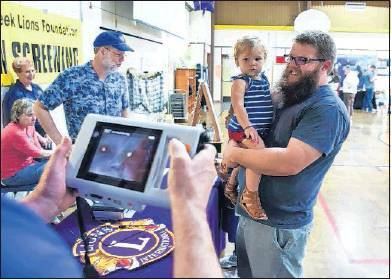 For about 90 years, Lions Club International has had an emphasis on vision screening services. For the Salmon Creek club, that meant renting the state Lions organization’s large screening van for a couple of local events. But the van was available to groups statewide and, as a result, had limited availability. “We wanted something a little broader, to serve our community when we want,” said David Page, chair of the Salmon Creek club’s vision screening committee. But, in order to do that, the club needed its own equipment. In July 2015, the club purchased a stateof-the-art, portable vision screening device for $7,000 and launched a local screening outreach program. That fall, the club connected with the Head Start program and provided free screenings for preschoolers at a handful of their locations. The club also took the machine to community events. Doug Ballou, left, shows an image on a vision screener to 18-month-old Tyler Smith, while Tyler’s sister, Summer Smith, 7, and mother, Crystal Smith, watch at Truman Elementary School in Vancouver on Friday. In total, the club screened nearly 1,000 people in the first nine months. The machine, which runs on rechargeable batteries, does not diagnose people with eye diseases or defects, nor does it replace an eye exam with a professional. 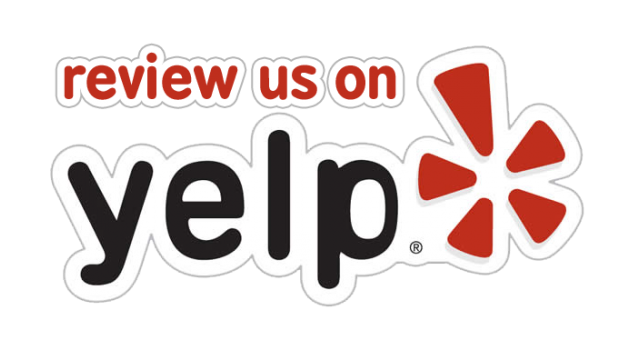 Instead, the machine is considered a technological upgrade from the traditional Snellen eye charts. Rather than read increasingly small letters from a wall chart, people being screened simply look into the machine. The machine focuses in on the pupil and prints out a result, which indicates whether or not the person needs a professional exam. The whole process takes about 30 seconds. The quick results make screening squirmy kids much easier, Page said. And since the machine doesn’t require any feedback from children, it’s great for screening young kids, he said. Andy Pyle, right, holds his daughter, Georgia, 2, as her vision is tested by a Salmon Creek Lions Club member Friday at Truman Elementary School in Vancouver. During the first year, the club referred about 150 people for professional eye exams. After that success, the club raised more money and bought a second machine. The club doubled its number of screenings to about 2,000, offering screenings at every local Head Start program and dozens of other events, including family nights at local schools and evening clinics at the Free Clinic of Southwest Washington. For the Head Start program, that meant about 900 screened preschoolers. Of those, 32 children were referred for professional eye exams and received glasses, said Pam Teseniar, director of support services for Educational Opportunities for Children and Families, which runs the Head Start program. That’s more referrals than the program has ever had, she said. 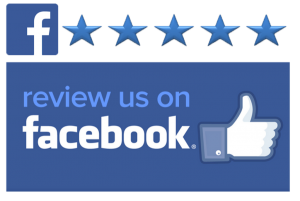 “It told us it’s a pretty great service, and there’s a need for it,” Page said. The Lions Club also has help for children — and adults — who can’t afford glasses. The Lions Sight Foundation of Clark County covers the cost of glasses for those who meet income requirements and have been residents of Clark County for at least six months. With the new screening equipment, Page hopes to see the Lions club double its outreach program each year.